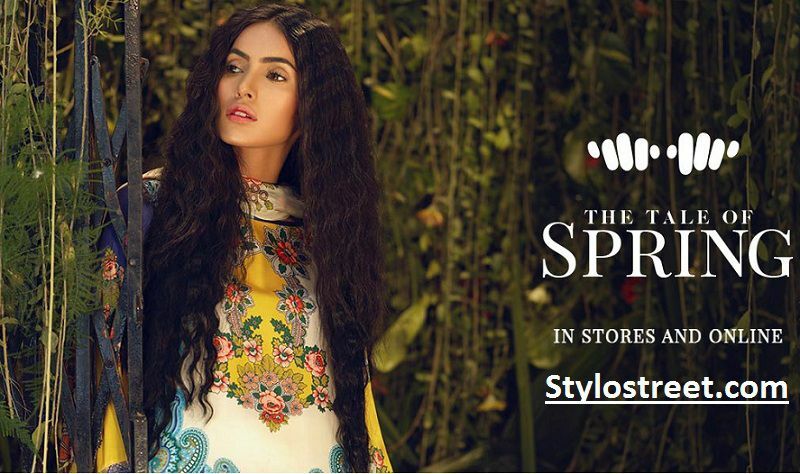 Today we are talking about Spring summer lawn by Asian famous brand Khaadi. Khaadi Lawn 2019 is providing amazing lawn prints for spring summer season 2019. Furthermore, everyone can purchase this lawn fabric collection because it’s containing beautiful digital printed lawn prints for women. You can buy this Khaadi Lawn 2019 collection through the official online website of khaadi or through in-store. In addition, you can buy all of these beautiful lawn prints with unique designs that are designed according to customer demand. Khaadi clothing brand was working in Pakistan for 1998 and with the passage of this brand it’s getting more and more popularity and become a rising star these days. As we can see that leading fashion brand Khaadi getting rapidly progress in Pakistan but also in foreign countries. Furthermore, this Khaadi Lawn 2019 collection is consists of attractive lawn prints with beautiful and charming dresses that are containing flawless and blooming prints. All these dresses have beautiful and fresh colors recently decorated by the professional designers of Khaadi brand. Furthermore, all the dresses of khaadi spring summer lawn are best for stylish, elegant and designed according to latest fashion trends in Pakistan or Asian countries. Here you will find the best lawn dresses that are containing front & Sleeve lawn printed 2.0M. with Back lawn printed of 1.25M and digitally printed lawn Dupatta in 2.5M. Today I am sure that youwill find the eye catching Khaadi Lawn 2019 Collection Vol-1st in Pakistan. That will make your personality more impressive and beautiful. So, today shop online beautiful lawn printed shirts for women in affordable price range. Furthermore, this brand is always decorating dresses that are according to the season and needs of the people. So, always get the best summer wear lawn shirts at affordable price range through Khaadi in-store and official website.